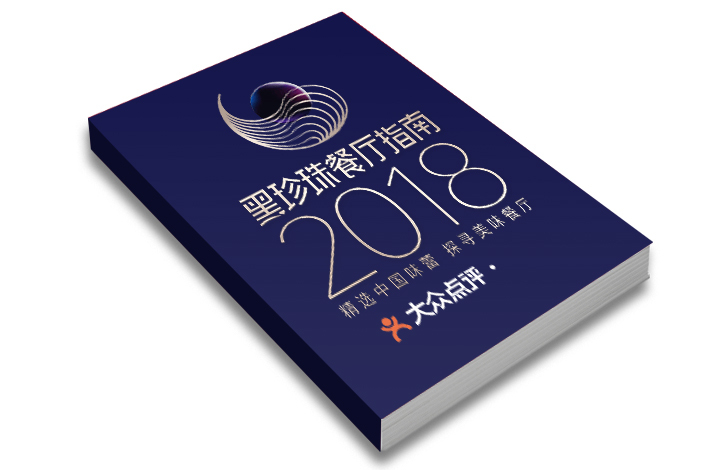 The Meituan-Dianping juggernaut shook things up yesterday in Shanghai, introducing a new ranking system for restaurants in 22 cities in China and five cities overseas including New York, Tokyo, and Paris that awards either one, two, or three stars — er, “black pearls” — depending on the outcome of anonymous visits by a select committee of judges, many of whom are chefs. Sound familiar? Sound a little like this tiny tire company that produces a handbook to restaurants no one reads and has no influence? Sound like, perhaps, a (welcome) Chinese counterweight to said tire company? Sound like — let’s just say it — a Chinese Michelin, made in China by China for China (good!)? The company claims otherwise, but they’re not kidding anyone. So let’s get straight to it: who got three stars — I mean, pearls — in Shanghai, and how’s the list stack up to other people’s opinions, like, uh, mine? Five of the 28 restaurants to get the highest ranking are in Shanghai: Sushi Naramoto; Ultraviolet; Jing Xi Hui (菁禧荟), a Chaozhou restaurant in Hongqiao; Fu He Hui, a contemporary Chinese vegetarian restaurant; and Fu 1015, a Shanghainese restaurant by the same chef of Fu He Hui. What’s the rest of the list look like? An interesting mix, apart from the kind of questionable (but forgivable!) selection of western restaurants that most people have never heard of. Twelve restaurants got two pearls, including Huaiyang restaurant Yong Yi Ting (again, same chef as Fu He Hui; obviously they have a thing for Tony Lu); duck joint Da Dong (boo! hiss! ); the unimpeachable Cantonese of Imperial Treasure; Robuchon (hiss! boo! ); and the original omakase sushi restaurant, Oyama. A further 36 restaurants got one pearl. See the full list here. The takeaway? Dining out is big business in China, and while there is no shortage of other awards (see the framed proof on every restaurant wall), very few have the credibility that Meituan-Dianping have. All in all, for a first attempt, they appear to have gotten a lot right, and for fanboys of Chinese cuisine, like myself, the listings for all the other cities in China make for some particularly interesting fodder. Well done. Some of these tasters need to recheck their palettes. It seems all the best restaurants also happen to all be 500 rmb above per person, so there isn't any top restaurants that are below 300 rmb a person? Having Robuchon and Jean George on that list is embarrassing, the food in those locations are so poorly done considering they are using such expensive ingredients; theres so much better western food in Shanghai. The Beijing list is even funnier, Morton's steakhouse and Nobu as two pearls, whats wrong with these tasters. Lol I would never call Meituan or Dianping credible. There's a lot of hongbao changing hands for those stars.